Cacao is gaining more popularity amongst local growers in Hawaii in recent years. 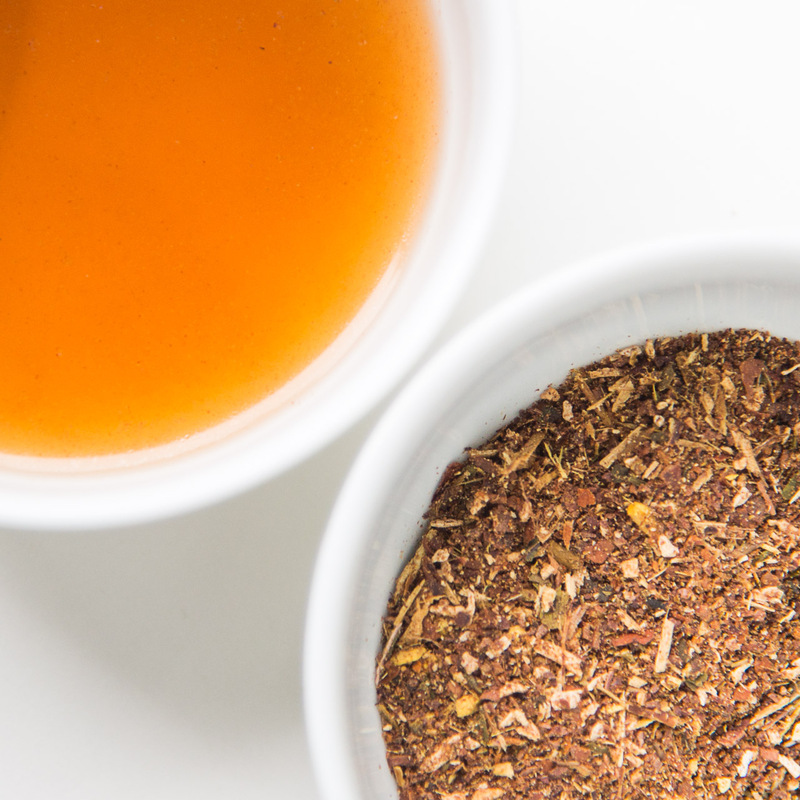 We first got interested in cacao when we heard about single origin chocolate much like how our teas are made. 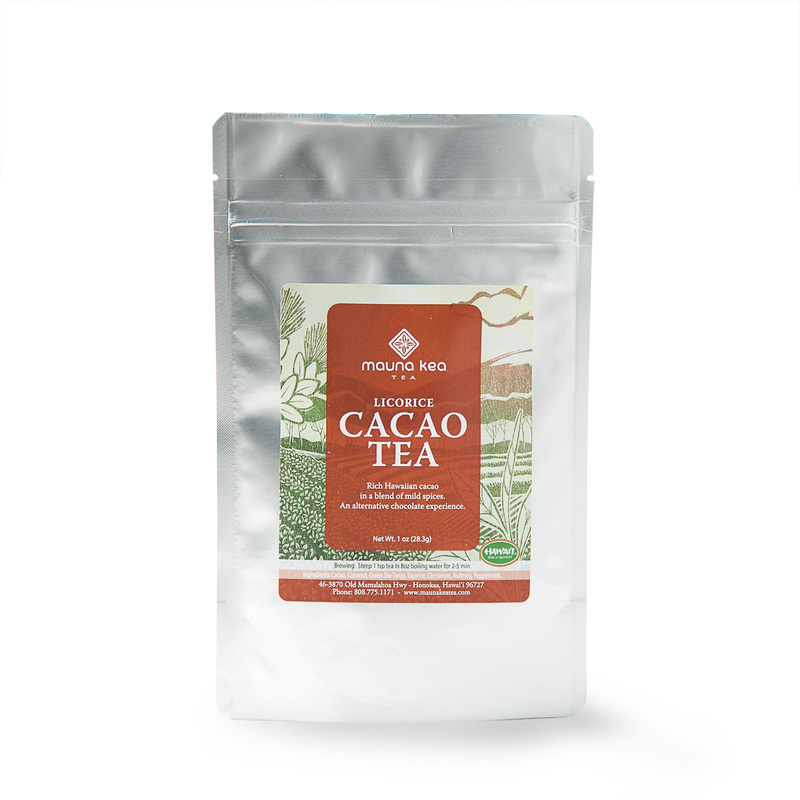 While Hawaiian cacao still has a lot of room for improvement, we thought it would make a great way of enjoying cacao without excessive consumption of sugar. Cacao pods are harvested from Hawaiian trees and opened to reveal seeds, which are fermented, dried, then roasted and cracked into nibs. 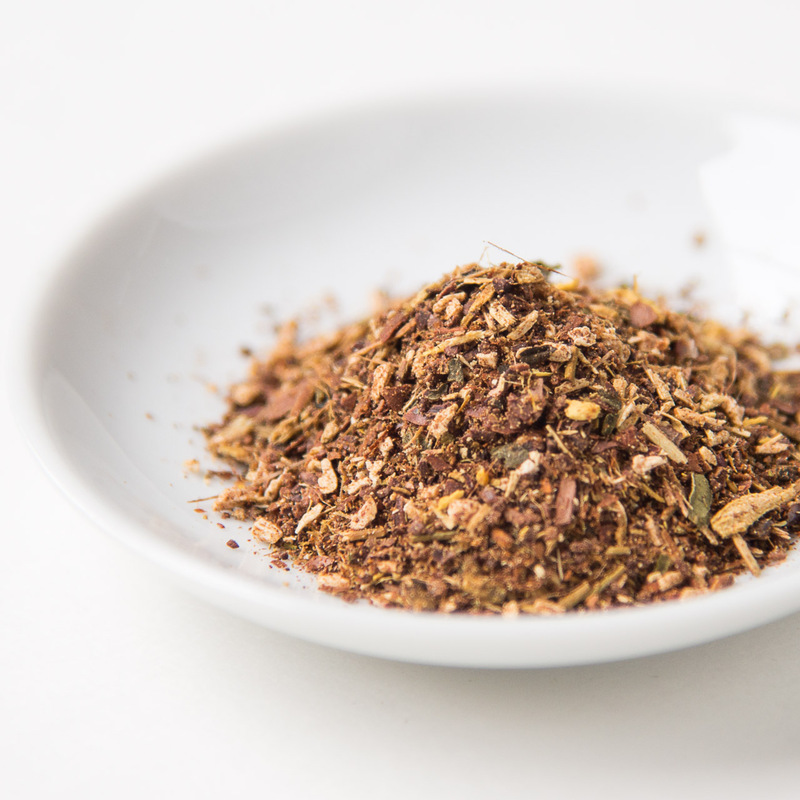 For our Cacao Tea the nibs are further milled into coarse powder. When brewed, rich and creamy texture of cacao comes alive. 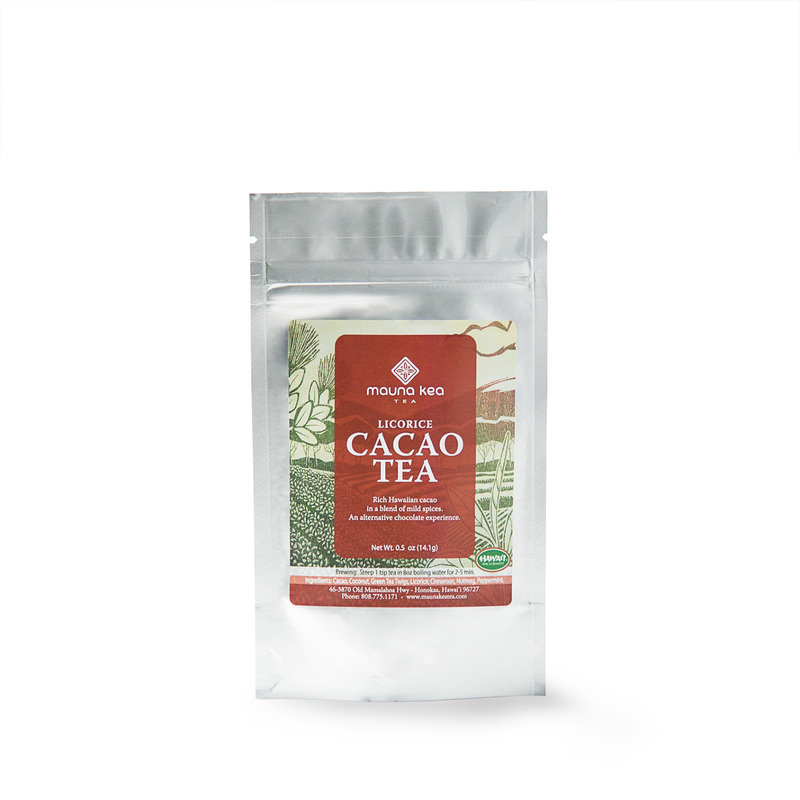 We combine this cacao with roasted green tea twigs, which is harvested from summer growth for more complex and full flavor and produced by traditional twig tea roasting for a crisp and pungent aroma that accents/enhances the richness of cacao. While other ingredients such as licorice, nutmeg and peppermint are barely noticeable, they add a little sweetness and more complexity to the flavor of cacao. *Licorice is a powerful herb that is highly valued in Traditional Chinese medicine for treating gastrointestinal issues (acid reflux, indigestion, IBS), adrenal fatigue, PMS/menopausal symptoms, cough/sore throat and high potassium level. 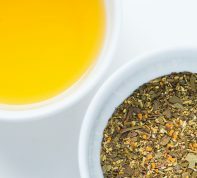 Although the amount of licorice used in this tea blend is low, excessive use of licorice may cause muscle cramp due to hypokalemia or low potassium level, high blood pressure and chronic fatigue.